Research at the undergraduate level offers more than meets the eye. With students from every year of their undergraduate careers working in Bond LSC, it’s a great opportunity to acquire skills and experience. Linda Blockus, head of the Undergraduate Research office in 150 Bond LSC, advises students to get started early and be proactive. It isn’t all as intimidating as it might appear. Students have a number of resources available to find out more about research on campus. That’s exactly what students involved in the Freshman Research in Plant Sciences (FRIPS) program have done. Sarah Unruh, a Ph.D. student who serves as a Graduate Student Coordinator for the program, boasts of the program’s ability to guide research-minded students along their path at Bond LSC. Each of the students selected for the program works in a lab they find the most interesting, but the program assists with those relationships to help students adjust to the process. Those interactions and networking opportunities open doors down the line. Jenna Bohler — one of the students involved in FRIPS this year — has benefited from its connection-facilitating. Bohler is about to finish her FRIPS experience and can attest to the program’s influence on her first year at Mizzou. “I knew coming into college I wanted to be involved in research, and FRIPS allowed me to get involved really early so I have four years instead of two or three,” Bohler said. And it’s not only helpful in the lab. Some FRIPS students have even extended their research opportunities beyond their freshman year. “Students have used their time wisely in the lab and then gone on to do summer research programs,” Unruh said. For those who aren’t freshman but find themselves interested in research, there are a number of programs available. The Society of Undergraduate Researchers in Life Sciences (SURLS) is a group of undergraduate researchers who meet twice a month to explore the options they have within their field. It helps participants to network, meet people with similar interests and better understand a number of components of research. Alec Wilken, a junior bioscience major who works in the Holliday lab in the medical school, served as the vice president and will be the president for his senior year. He’s been part of SURLS since he was a freshman and has seen first-hand how it’s shaped his path in the field of research. SURLS provides students with the opportunity to grow throughout their undergraduate careers. “I stayed in SURLS after joining my lab because it became a vehicle that helped me be better in my lab,” Wilken said. The organization’s impact has allowed Wilken to uncover the path he wants his career to take, as he now plans to earn a Ph.D.
“I found a home in research, and SURLS helped me do that,” Wilken said. 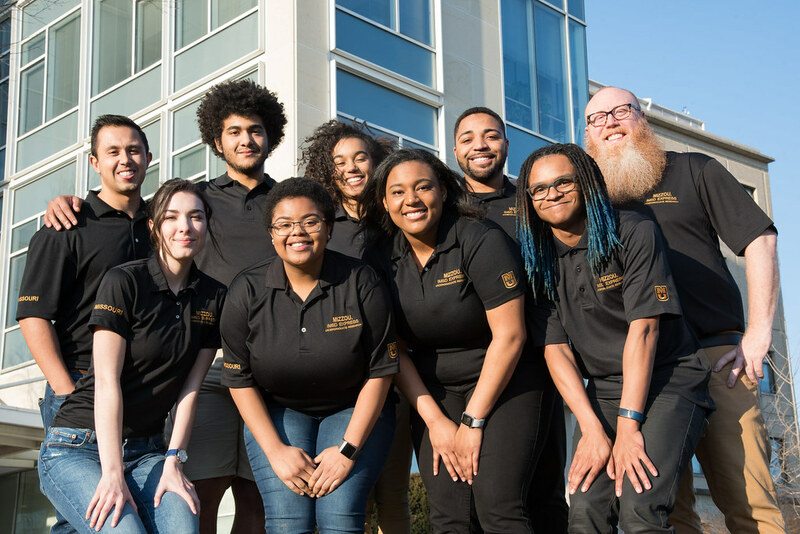 For those with plans to pursue a Ph.D. in their future, MU’s Initiative for Maximizing Student Diversity (IMSD) is the perfect fit. The grant is funded by the National Institutes of Health (NIH), but at Mizzou there’s the addition of Express to the program’s title. It stands for Exposure to Research for Science Students, which emphasizes the scientific aspect of the program. Brian Booton, is the undergraduate director for IMSD-Express at Mizzou, acknowledges the prestige that goes along with being an IMSD scholar. With stiff competition for the program at universities across the nation, it’s important to focus on the students’ experiences. Part of that is through the way the weekly meetings breakdown. “I break programing down into three areas: personal, academic and professional development,” Booton said. Doing so helps guide students in the right direction because it is set up to further their education by developing skills for success. But it’s not all lectures and typical meetings. IMSD-Express offers a peer mentorship program for underclassmen apprentices to be paired with upperclassmen fellows. The various research opportunities at Mizzou make it possible for students to supplement their classroom learning in a way unlike any other.